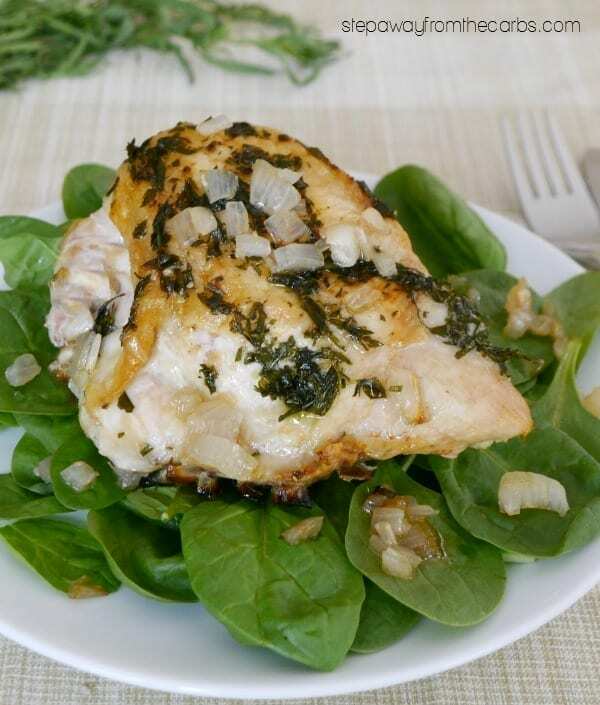 This low carb tarragon chicken dish is roasted to perfection with olive oil, garlic, and shallots. Tarragon is one of my favorite herbs. Well, that and basil. And cilantro. And – well, let’s just say it’s in the top five! 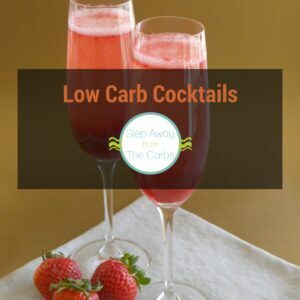 Previously on the blog I’ve paired it with tomatoes, salmon, and with chicken and lemon. With this recipe I’ve combined it with olive oil, garlic and shallots, all cooked alongside the chicken. 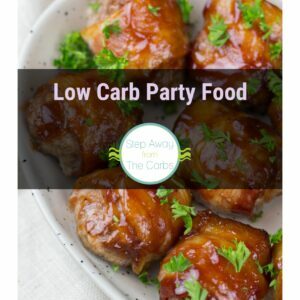 The prep time is really low and the ingredients list is short, which makes it ideal for a weeknight meal, but if you serve it with a fancy side dish you could definitely make it into something more! To make a quick herb oil for basting the chicken, mix together chopped fresh tarragon, olive oil, garlic paste, salt and pepper. Finely chop 2-3 shallots and place them in the base of a small baking tray lined with foil. 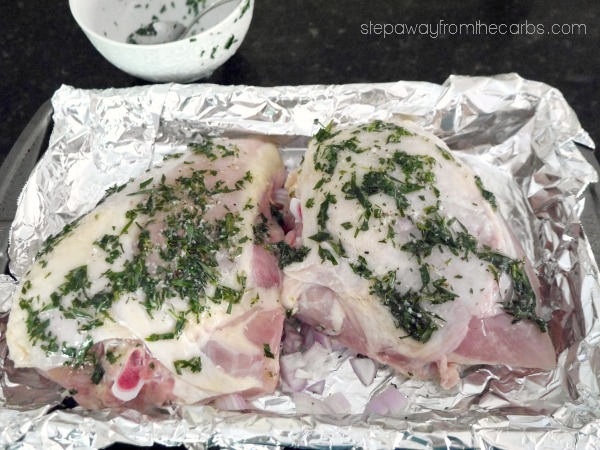 Add chicken pieces over the top – I used two chicken breasts on the bone. Spoon the tarragon oil over the chicken. Roast for 45-50 minutes or until the chicken has reached an internal temperature of 165F (use a probe thermometer for this). Transfer the chicken to a serving plate, then spoon the super soft (and sweet!) shallots over the top. Make a quick herb oil by mixing together the tarragon, olive oil, garlic paste, salt and pepper. Place the shallots in the base of a small baking tray lined with foil. Add chicken pieces over the top and spoon the tarragon oil over the chicken. Roast for 45-50 minutes or until the chicken has reached an internal temperature of 165F (use a probe thermometer for this). Serve the chicken then spoon the shallots over the top. 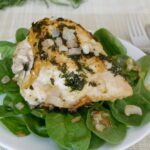 Zero Carb Option: If you want to make this tarragon chicken recipe zero carb, just skip the shallots. There are many other veggies you could add in at the end of the chicken’s cooking time that would work well: cherry tomatoes, sliced zucchini, broccoli florets and much more!